‘Collaborative Ground Segment’ for Belgium. Let me tell you what this means for you. Copernicus, the European Commission’s Earth Observation programme is the most ambitious in the world. The daily amount of data generated over Earth with the current Sentinel satellite constellation is comparable with the amount of pictures that is uploaded on a daily basis to Facebook. Therefore, it is quite a challenging task to get the most out of this data, both on the infrastructure and software side. The goal is to get as much value out of the Sentinel data as possible. Not just for the research communities but for industrial players, public authorities and the general public as well. In other words, the data needs to be freely accessible and usable. That’s our goal with ‘Terrascope’, ESA’s Collaborative Ground Segment in Belgium. 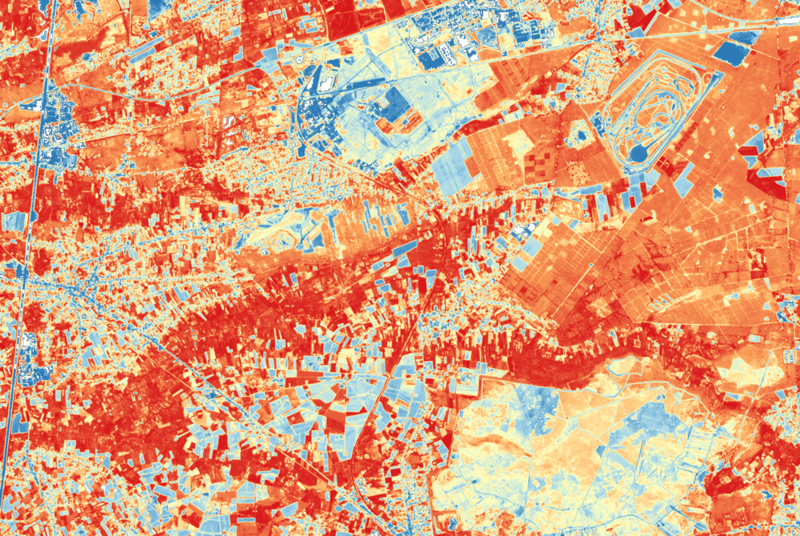 In the coming year, Terrascope will offer Sentinel 1 , Sentinel 2 and Sentinel 3 data as well as the SPOT-VEGETATION and PROBA-V archive. New value added products will become available, driven mainly by the Belgian user needs, both in the public and private sector. A lot of data and value added products, one online platform! To make sure the platform will take your requirements into account, please fill out the survey on Terrascope. This information will be used to expand and improve the future Terrascope portal. The Belgian Science Policy Office will send out this survey as well via their official channels. In a world ruled by Android and iOS, the gateway to such data needs to be intuitive, fast, robust, secure and accessible. People expect no less and we will do what’s necessary to live up to these expectations! You can already access Sentinel-2A and Sentinel-2B data over the Belgian territory on www.vito-eodata.be and via web services: WMTS, WMS and WCS. The entire Sentinel 2 archive above Belgium is also accessible in our PROBA-V virtual research environment. You can request a Virtual Machine and get started right away. More details can be found in our Sentinel 2 user manual.